What are the top 1k npm modules used with Node.js apps? We want to know this so we can test them with App Engine. What percentage of people are defining their supported Ruby versions in .ruby-version files? What about Gemfile? Can we reliabily use that to choose a Ruby version for the user? 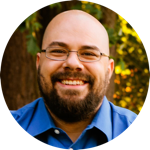 What’s the most common way to inject configuration? Environment variables? Nconf? Etcd? Dotenv? For each of these, we’re largely left to poke around using anecodtal observations or surveys. Having a simple way of answering these questions would be huge. Well… using the new public GitHub dataset with BigQuery we can. 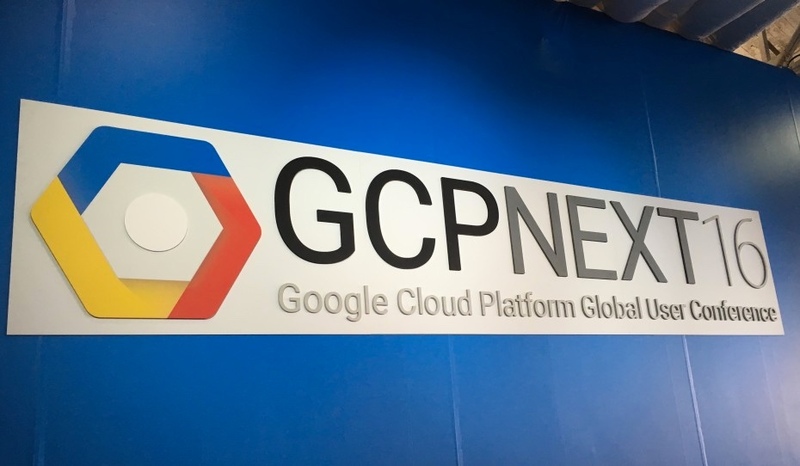 BigQuery is essentially a giant data warehouse that lets you store petabytes of data, originally built for internal use at Google. Usually querying over this much data requires a ton of infrastructure and an understanding of MapReduce… but BigQuery lets me just use SQL. 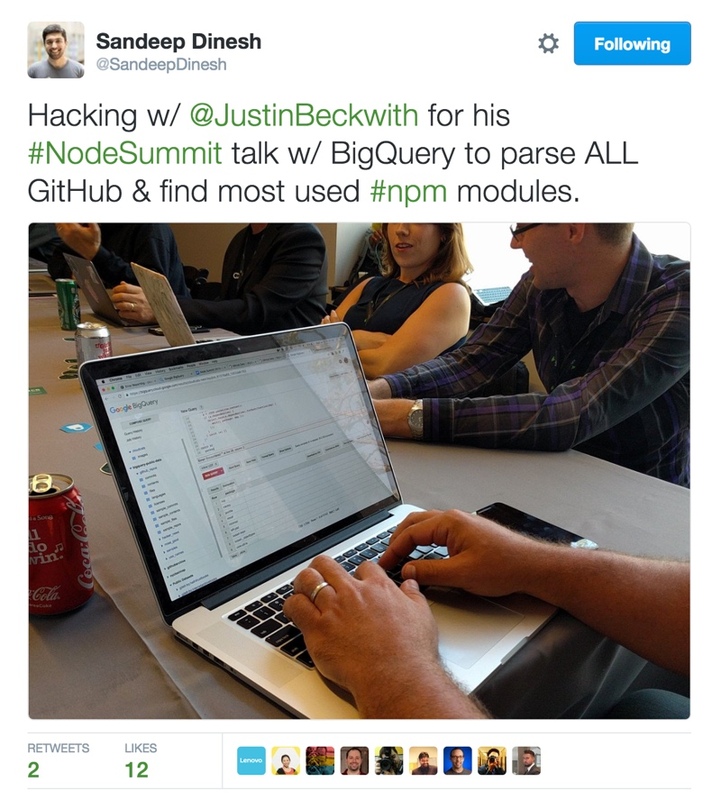 I was hanging out with with Sandeep Dinesh at NodeSummit a few weeks ago, and we were chatting about some of the new data available in BigQuery from GitHub. We figured with a little bit of SQL … we could learn all kinds of cool stuff. 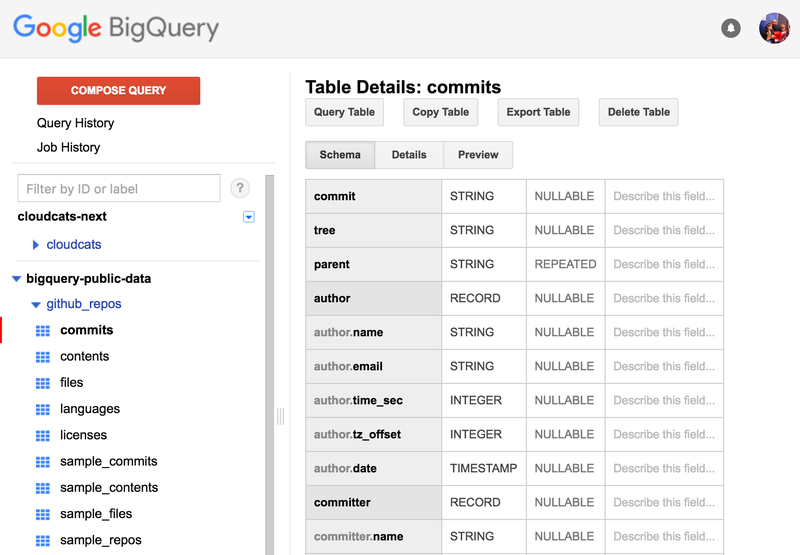 To get started - first, you’re going to need to visit the BigQuery console. From here we can choose the dataset, and start taking a look at the schema. Now lets start asking some interesting questions! We just need to query over the github_repos.files table, and get a count. Wow -over 2 billion files. Next question! 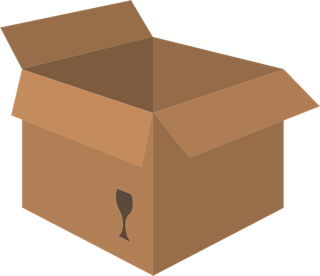 How many package.json(s) are there on GitHub? SELECT COUNT(*) FROM [bigquery-public-data:github_repos.files] WHERE RIGHT(path, 12) = "package.json"
Over 8 million! Now of course - this could include any project that has a package.json (not node.js), so it’s probably going to be a little front-end heavy. What’s the most popular top level npm import on GitHub? So here’s the big one. Lets say you want to know which npm module is most likely to be imported as a top level dependency? You could get some of this data by looking at npmjs.com, but that’s going to include subdependencies, and also count every install. I don’t want every install - I want to know how many apps are using which modules. SELECT id FROM [bigquery-public-data:github_repos.files] WHERE RIGHT(path, 12) = "package.json"
( … it keeps going for a while ) At the end of this - we processed quite a bit of data. Which npm dependencies are the most likely to be out of date? 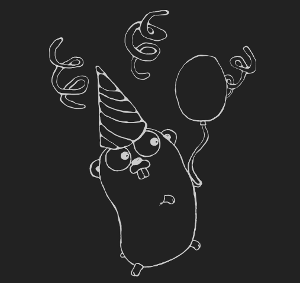 If you want to play around with the GitHub dataset, check out the getting started tutorial. If you find the answers to these (or anything else interesting), let me know at @JustinBeckwith! A few years ago, I put together a fun little app that used node.js, service bus, cloud services, and the Instagram realtime API to build a realtime visualization of images posted to Instagram. 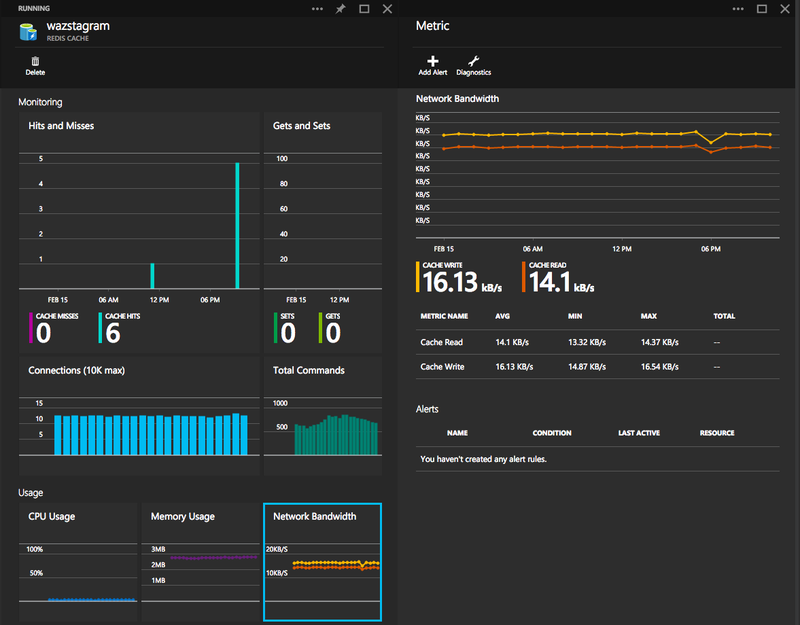 In 2 years time, a lot has changed on the Azure platform. I decided to go back into that code, and retool it to take advantage of some new technology and platform features. And for fun. Let’s take a look through the updates! I’m using resource groups to organize the various services. Resource groups provide a nice way to visualize and manage the services that make up an app. 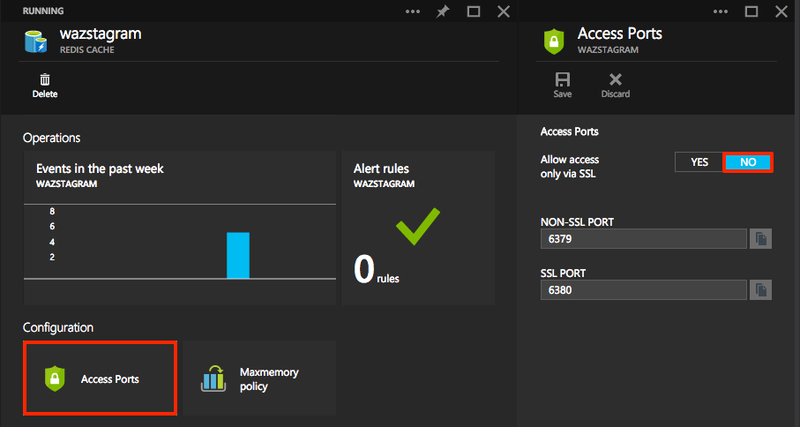 RBAC and aggregated monitoring are two of the biggest features that make this useful. 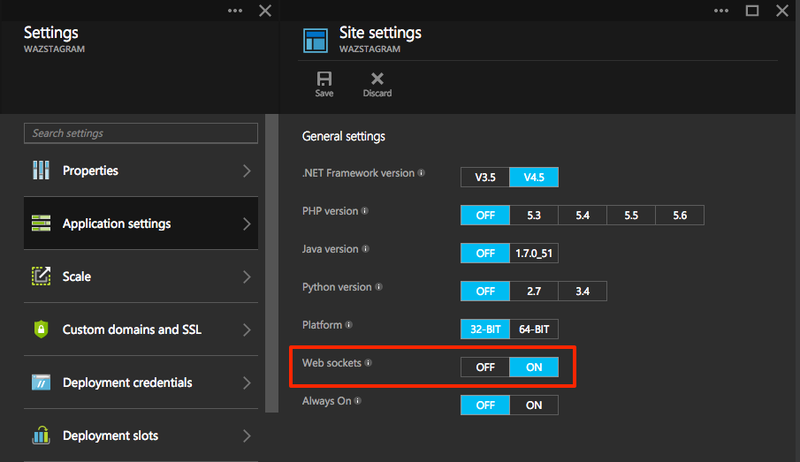 PROTIP: Use nconf to store secrets in json locally, and read from app settings in Azure. If you have any questions, feel free to check out the source, or find me @JustinBeckwith.